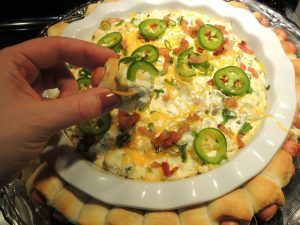 Jalapeno Poppers + Dip? What’s better? 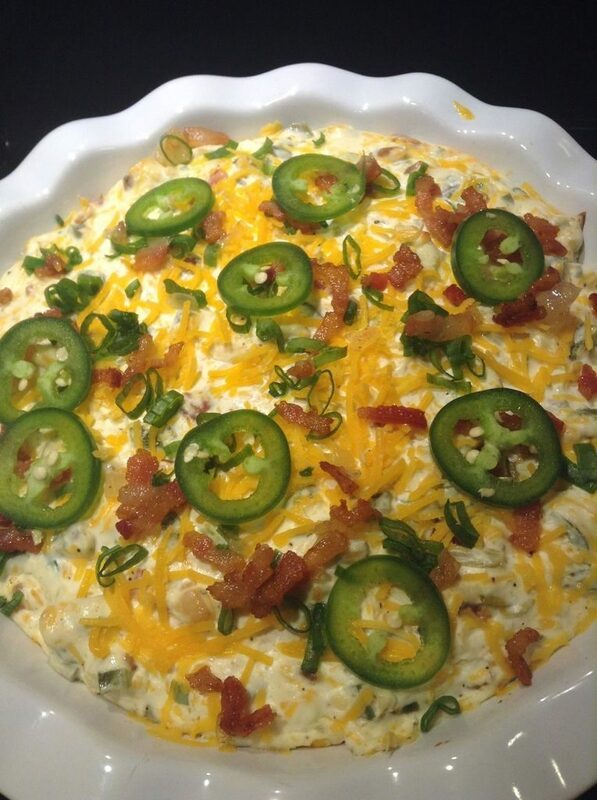 Cheesy Jalapeno Popper Dip is a great way to satisfy your guests growling stomachs! It’s creamy, cheesy, perfectly flavored, and absolutely delicious! Bring it to your next football party and watch it disappear! Pigs-in-a-blanket? Dip? Can’t decide what to bring to your next get-together? Pigs-in-a-Blanket Dipping Ring is the perfect solution! Just rip, dip, and enjoy! Just watch out for that food coma, because it’s coming!